MIX meets 2018 this March with MIX Madness! Your favorite moveable networking meetup is back in action with an all new lineup of events, venues, talent and community-empowered catalyzing. We’ll be busting down the doors of the Betterday Dine-in with drool-worthy drinks and bangin’ bites including desserts a hop away at Betterday Coffee. Smoked chicken tacos, fried green tomato sliders, curried bisque, cheesecake, espresso, cookies, drafts, vino and more – oh my! MADNESS! MIX MADNESS! With graphic design by the illustratively talented, Zahra Marwan. DJ Garronteed will be serving sublime sizzle with vintage vinyl. Z Silverwolf will be snippity snapping saucy shots of the occasion for your social sharing and memorial activities. As always, we want YOU and your voice in our community survey––collecting data for the betterment of our venerable berg. We’ll even be mad libbing letters to the new Mayor, so bring all the nouns, adjectives and verbs. All of them. Be sure to arrive early (5PM) to learn more about our 2018 bizMIX program with applications opening soon. Now’s the time to build your business, and we’re here to help! 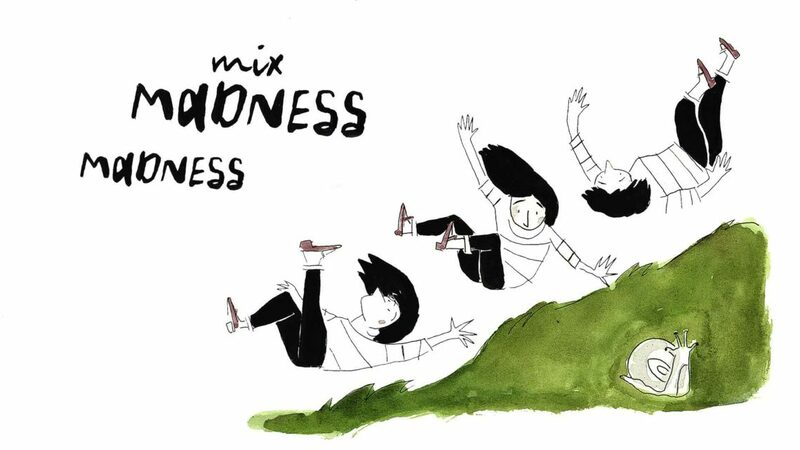 Bring your family, friends and soon to be friends for the MIX Madness event! Empowering you to do better and be better for Santa Fe and beyond. What should the mayor and council do to address the housing issue? What should our newly elected representatives do to improve job opportunities? How long have you been in Santa Fe?